Once you’ve gone to the effort of driving to your destination, being able to ditch a motor for a day or two can be just the ticket, especially if there’s a decent local pub lunch on offer as a welcome break mid-ride. Surely there is nothing quite as lovely as heading off for a morning or afternoon two-wheeled jaunt from your campsite or touring ground to explore the surrounding countryside? At Leisureshopdirect, we consider caravan and motorhome bike racks to be one of the most essential caravan spares that you can buy for your motorhome or 'van - an absolute must for getting the most out of your touring holidays. A great bonding experience for families, a day in the saddle to take in a local attraction or down to a nearby river bank for a splash and a picnic makes a day to remember. And those with young kids know just how essential a bike can be for getting around quickly (funny how much more energy an 8 year old can find for a bike ride than a walk!) Of course, if you’re a committed ‘cycling type’, already planning your next trip to one of the UK’s or Europe’s fabulous cycling destinations, you’ll need no convincing of the benefits to health and wellbeing of two-wheeled expeditions. 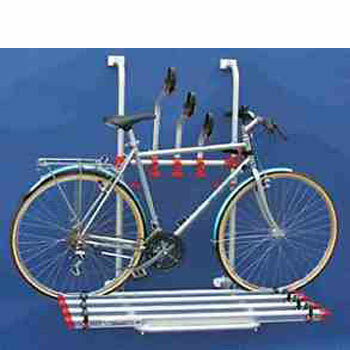 So, all this being said, purchasing and fitting a decent, reliable caravan bike rack is quite a priority and at Leisureshopdirect we stock some of the best caravan bike racks around. 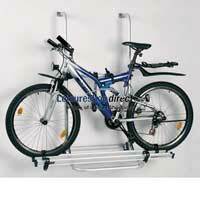 There are a number of questions that you need to ask when considering which bike rack to buy. How many bikes do you intend to carry? Which model caravan or motorhome do you have? We’ve taken out some stages of the decision-making process for you, though, by stocking only the best-reviewed brands and offering them at very competitive prices. Whether you are looking for hitch-mount bike racks, bumper-mount, ladder-mount or roof mounted racks, you should find a motorhome bike rack to suit your needs and fit your home-from-home here. 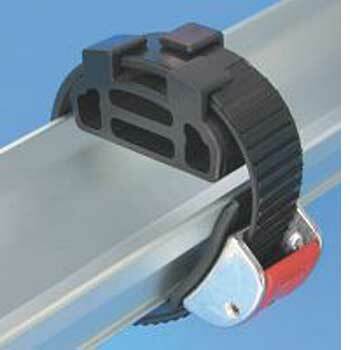 We only stock the most durable brands: Fiamma Bike Racks and Thule-Omnistor Bike Racks. Sadly, even the best-made things suffer wear and tear in the end but fear not! We also stock a wide range of motor-home spares and attachments including Fiamma Bike Rack Spares for the models of caravan bike rack we stock, enabling you to repair and renew rather than completely replace.